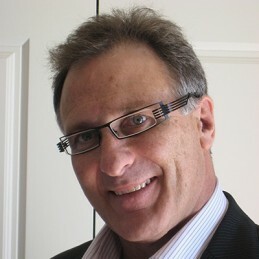 Peter McKeon is internationally recognised and universally acclaimed as one of Australia’s leading sales trainers. Not merely a presenter and published author, Peter facilitates unique, enjoyable, motivating and lasting learning experiences. At the core of his programs are ideas and skills that provide a solid foundation for enhancing performance across every level of your organisation. Peter’s practical, results-driven approach to training, coupled with his innate ability to connect with people of every age and skill level, ensures he is in constant demand. In fact, Peter counts some of Australia’s leading blue chip companies including Telstra, AMP, Origin Energy, ABN Amro Morgan, Tyco Water, Harvey Norman and others amongst his clients. His performance to date has been remarkable to say the least, peppered with phenomenal results including a 200% increase in sales turnover for one of Australia’s biggest corporations. As an international public speaker, Peter has shared the stage with many of the worlds most outstanding speakers including E. James Rohn, Dr Denis Waitley, Tom Hopkins, Dr Wayne Dyer and Brian Tracy to name but a few. Peter’s continuing quest for the most effective, cutting-edge sales strategies and solutions finds him travelling extensively each year. This combined with over 25 years in sales and marketing has earned him the reputation of a true Sales master – a true sales professional in every sense.